When I was growing up, my family would go to the beach every summer. We would head to either the Gulf of Mexico’s panhandle of Florida or the Georgia coast. Or both! 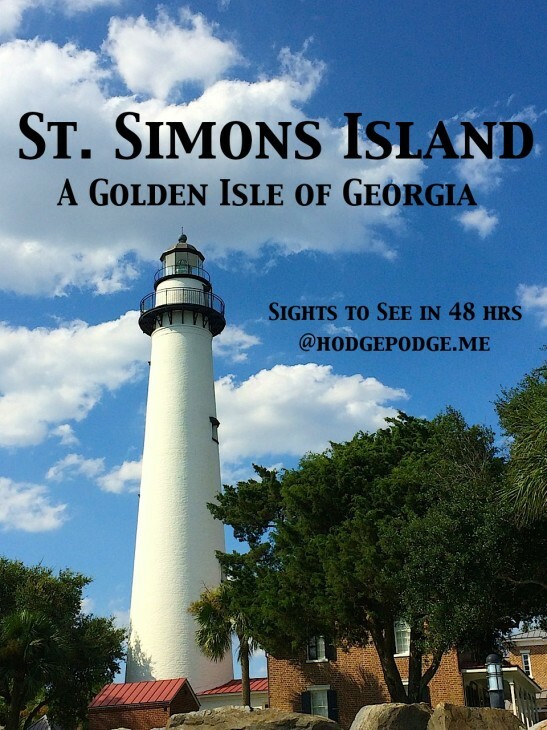 I am quite familiar with St. Simons from those summers and was also was a ‘nanny’ an entire summer for a family who owned a home on St. Simons Island. 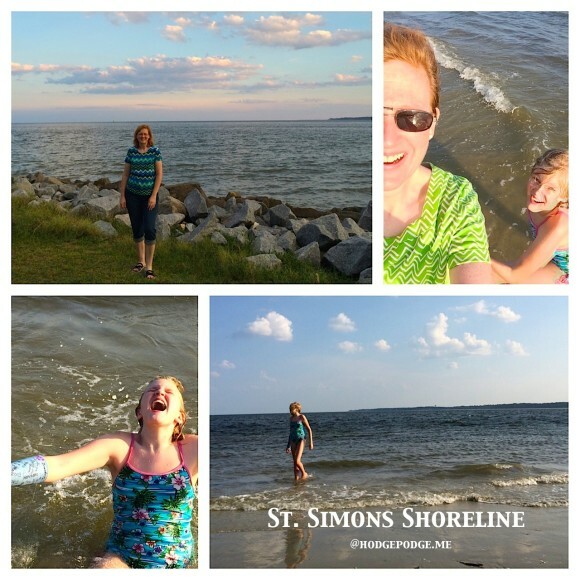 So when it came time for our Middle Girl to choose a destination for her 12-year-old trip, she picked St. Simons after hearing all I had to say about it and researching online herself. 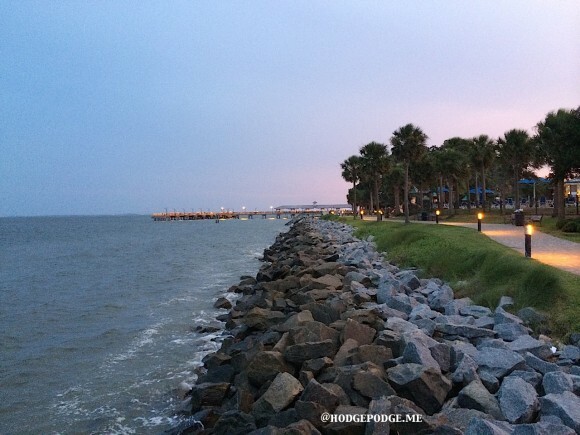 Why St. Simons Island? Because it offers a lovely mixture of nature study, history plus downright beauty and fun! There is just so much to see right here in our home state – just a few hours drive from home. At low tide there is plenty of beach to stroll right beside the pier and within walking distance of The Inn! 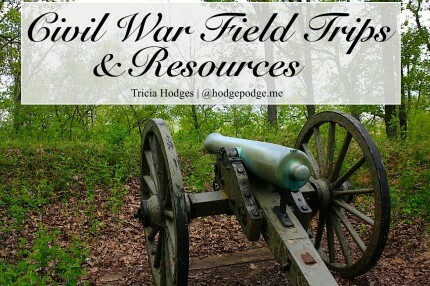 history – from native Americans to Oglethorpe, Ft. Frederica, colonial Georgia, Christ Church to Civil War history and the retreat spots of the upper class in the early 1900s. About 400 years of history you can study and learn! fun – the beach – need I say more? Plus we walked to Pier Village – shops, restaurants, the historic lighthouse and Neptune Park’s water/pool area. Middle Girl mainly chose the area because of her love of sea turtles. 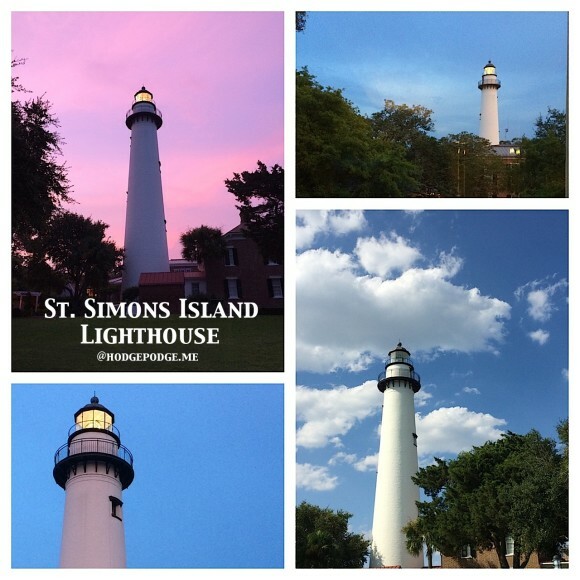 Day trips to Little St. Simons were booked (we hope to go another time!) but we made a point of going to the Sea Turtle Center on neighboring Jekyll Island (more on that in a whole ‘nother post). The trolley is air-conditioned and you can bring food and drink with you. $20 for adults and $10 for children. 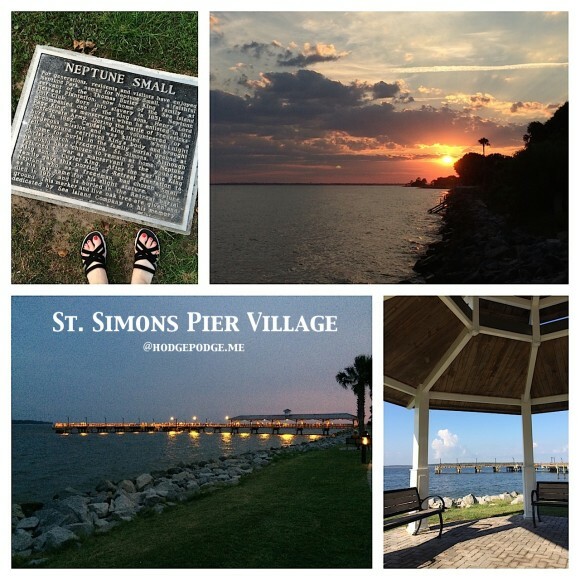 It is a fantastic way to start your time at St. Simons Island! The tour was just enough to whet our appetites and make us want to spend more time at each spot. 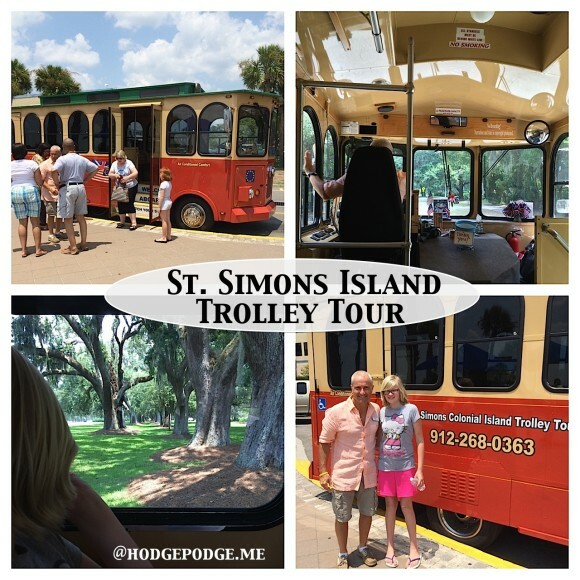 You can like St. Simons Colonial Island Trolley Tours on Facebook for the latest updates. 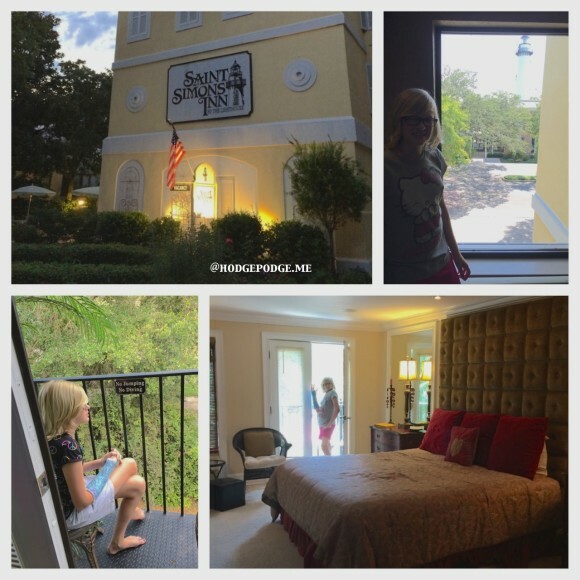 By the time we returned we thought we’d stop by the St. Simons Inn by the Lighthouse to see if we could check in a little early. Indeed we could and we enjoyed some nice, cool lemon water in the lobby before we headed up to our room to rest a bit. 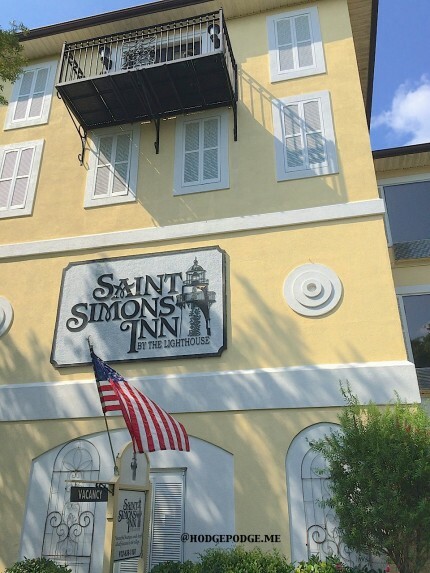 Staying at the St. Simons Inn gave us a central location where we could walk to most everything we wanted to. …and even a pool to cool off in. Parking was right underneath the inn. 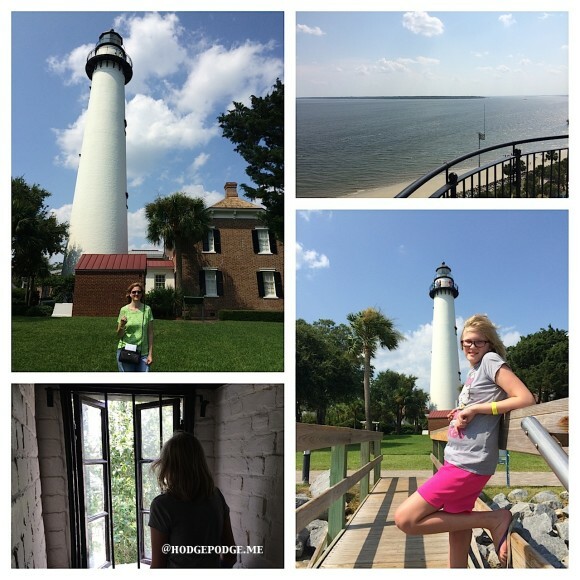 After our spot of rest at the inn, we walked across the street and toured the St. Simons Lighthouse. Just in time to climb the 129 stairs to the top before it closed for the day. It is worth the climb! And we were very much impressed by the museum and history lessons there. 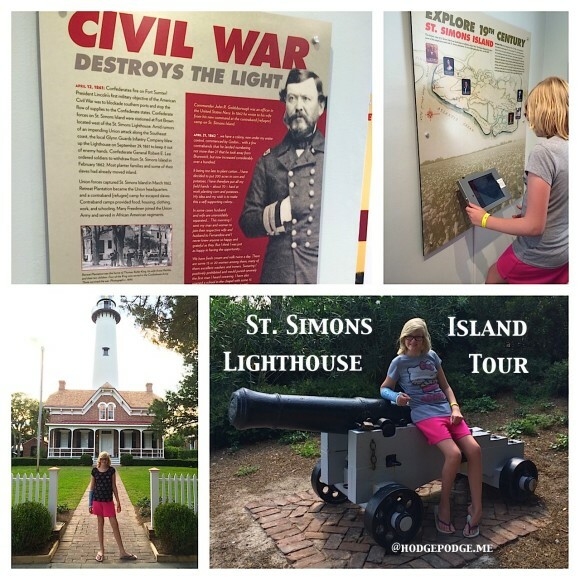 A touchscreen iPad caught the attention of Middle Girl as well as the pieces of the original lighthouse from prior to the Civil War. 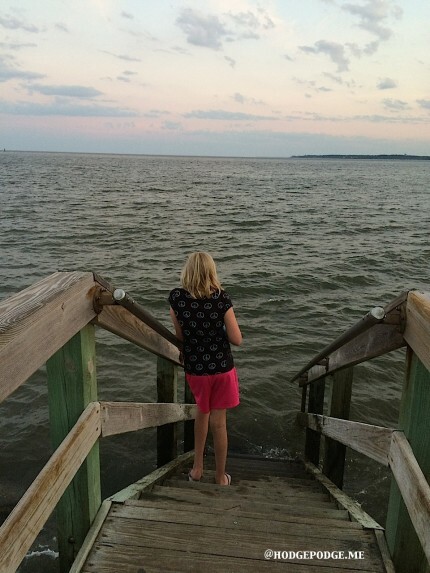 What we surely loved about staying at the St. Simons Inn by the Lighthouse was being right by the seashore! It was so easy to walk over to the pier, the shops, stroll the sidewalks and feel the coastal breezes then stop in to dine in the local restaurants. Wonderful, wide and beautiful brick sidewalks with benches all along the way. (Those rocks, above, save the shoreline.) Each bench inviting you to sit a while and soak up the St. Simons seashore. Plus Neptune Park was right there with fun for children of all ages. A playground and swing set, water park, pool. We were on a budget and only sampled a few restaurants. But those we tried we have to recommend to you! 1. 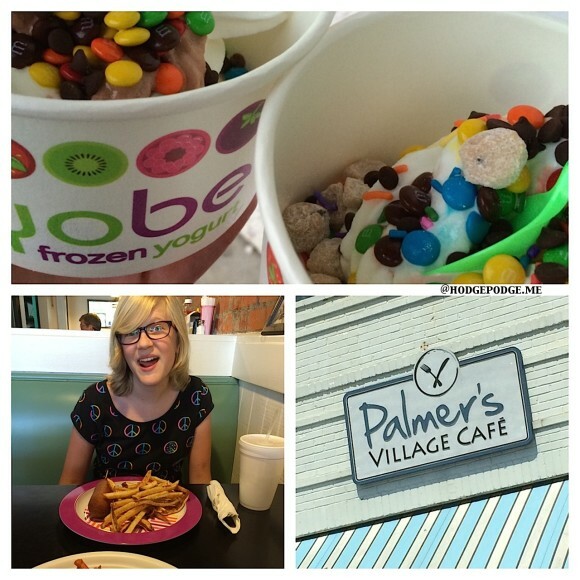 Yobe Frozen Yogurt (we ate here three times! And the last time they greeted us with ‘Welcome to Yobe, again!’) 2. Good ol’ yumminess at ZuZu’s! corn dog, fries for Middle Girl and hamburger topped with pimento cheese and a side of sweet potato fries for me. 3. Palmer’s Village Cafe for breakfast (thanks for the recommendation Capt. Rod!) – Middle Girl enjoyed her grits and biscuit and I savored my order – the ‘local’ – an omelette with avocado, some sort of fabulous cheese – topped with thinly sliced cucumber and a sprinkle of herbs and tomato. It was such a work of art I felt bad eating it. We also had the privilege of hearing one of the locals play hymns on a harmonica. Perfect! I hope you are enjoying our continuing series as we explore our home state! Next up, the historical spots we visited: The Avenue of Oaks, Christ Church and Fort Frederica (where Middle Girl earned a Jr. Ranger Badge with her orders from General Oglethorpe!) plus our adventures on Jekyll Island. Oh I haven’t even mentioned all the biking you can do and the many golf carts we saw riding all over the island. SO much to see and do! What favorite spot have YOU visited lately in Georgia? What a beautiful trip. The kids are looking older, aren’t they? Both mine and yours. I still have my dream of visiting Georgia. It was an absolutely fantastic trip! And yes, yes, my friend Phyllis, these children are all growing up. And what a joy it would be for you to visit Georgia!